I’m still reading The Raven Boys by Maggie Stiefvater… I haven’t had a lot of time to read during the last few days so I’m not really far into the story yet, but so far it’s more than promising. 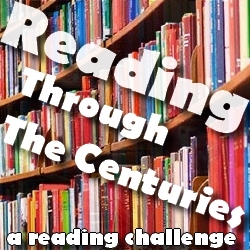 Fingers crossed I will find some time to read later today! 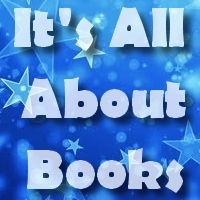 Since I’m still not completely out of my reading slump, I have been trying to read genres I haven’t been reading a lot lately… Romance is one of those, so I started November 9 by Colleen Hoover the other day. I think this might actually one of the first romance novels to receive one of the highest ratings; I’m loving it so far! 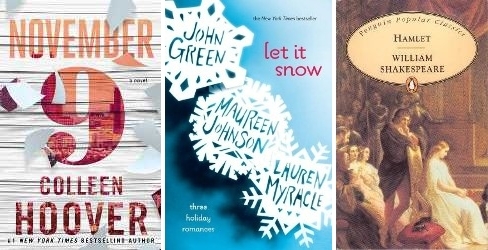 I started Let It Snow by John Green as well, but I put it on hold because I don’t really like the first story so far. And I’m trying to finish Hamlet by William Shakespeare so I’m one step closer to finally completing my last two pending challenges. It’s been too long since I last read his work! Only two books this week… Between my reading slump and Christmas decorating I just didn’t have a lot of time to read. 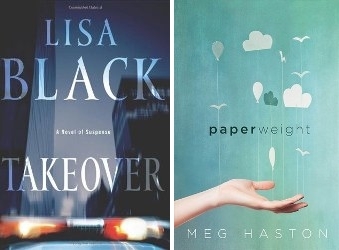 * I then finished Paperweight by Meg Haston, a very well written book about eating disorders. 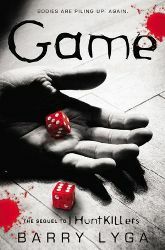 The main character is not exactly likeable, but very realistic. Recommendable! 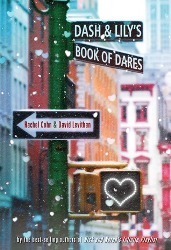 I have a new ARC pending: Rough Roads With Reckless Drivers by Lara Pass. I will probably read that one next… I also want to read Memories by Lang Leav, a collection of poems I need for a challenge. 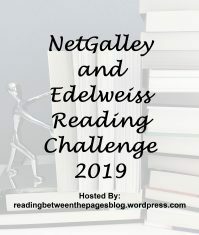 If I’m in the mood for fantasy, I’m going to try and pick up either The Raven Boys by Maggie Stiefvater or Neverwhere by Neil Gaiman (latest TBR jar pick). To be honest, I wasn’t really looking forward to read this final book of The Wolves Of Mercy Falls trilogy. The first two books didn’t exactly convince me. They were too much of a cheesy romance story and the wolves weren’t scary OR convincing. I guess Twilight fans will probably really enjoy this series by Maggie Stiefvater, but I myself prefer to have my supernatural creatures creepy and dangerous as they should be. Forever was, like the first two books, full of the sappy relationship between Grace and Sam. Werewolf falling for a human; then werewolf turns into human and human into werewolf… And their love is able to survive anyway. Not only tacky, but I’m still having problems with the fact that Grace fell in love with a werewolf in the first place. I mean, they aren’t exacty perfect boyfriend material in the first place, right? I guess the only reason I gave Forever three stars is the scene where the wolves try to escape and those were Cole is trying to figure out a cure. Those were at least kind of interesting. Sure, the prose is easy to read and the pace is fast, but the romance scenes were a huge turn off. But I guess that if you enjoyed Shiver and Linger, you will probably like Forever as well. WARNING: do not read this summary if you haven’t read the first two books in the series yet! It will most likely contain spoilers, even though I’ve made sure to keep it short. When Grace and Sam first met, Sam was a wolf. They fell in love anyway, and Sam was able to find a way to stay human forever. Or at least he thought it was a cure… And they were happy together as long as it lasted. But Grace got sick and the only way to prevent her death is giving in to the poison inside her. Grace wasn’t meant to stay human, and now she is a wolf. But being a wolf in Mercy Falls isn’t as safe anymore as Culpepper is about to avenge his son’s death by organizing a hunt to kill all the wolves of Mercy Falls… And Sam, Isabel and Cole will have to find a way to save the wolves. Will they succeed in time? Forever was a not so expectacular end to a not that interesting series. Don’t get me wrong, I really loved Maggie Stiefvater‘s prose and I will read more of her work in the future. But this series just didn’t do it for me. There are too many romance scenes involved to my taste; the story could have been much more interesting with more realistic werewolves. If you compare the three books, I honestly feel the author could have told the story in about half the words by just leaving out a lot of innecessary and sappy romantic dialogues… Although I know a lot of people probably think otherwise. In short, if you are a YA romance and fantasy fans and don’t mind not so realistic werewolves, you will probably love this series. But I don’t think I will revisit Mercy Falls OR read the fourth book and stand alone Sinner any time soon. 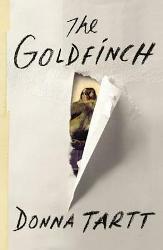 Almost no progress with The Goldfinch by Donna Tartt this week. I guess I just haven’t been feeling like reading it… It’s very well written, but the slow pace is a huge turn off. 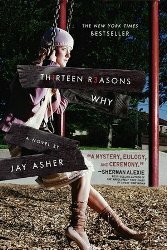 I’ve also started Thirteen Reasons Why by Jay Asher and this read is way more interesting if you ask me. It’s quite a heavy read, but very well written and I will probably end up finishing it either today or tomorrow. 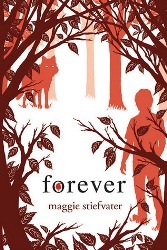 I finished reading Forever by Maggie Stiefvater the other day and I cannot say I was impressed. At least it means I have finally finished another series! I know there is a fourth book, Sinner, but technically that one doesn’t belong to the trilogy and I don’t think I will buy/read it any time soon. 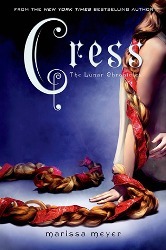 I’ve also finished Cress by Marissa Meyer and I absolutely loved it. The wait for Winter will be so long! I NEED to know what happens next!!! 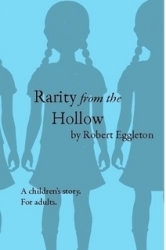 Next I will probably either read Rarity From The Hollow, an ARC sent by the author Robert Eggleton, or Dash & Lily’s Book Of Dares by Rachel Cohn and David Levithan. The second is for The Book Club For Opinionated Hufflepuffs… I’m not sure that one will be for me, but I will give it a try anyway. To be honest, I wasn’t going to continue The Wolves Of Mercy Falls series any time soon. 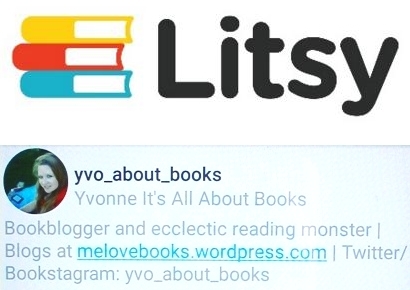 I wasn’t really impressed by the first book Shiver; it was too much like a sappy romance story for my taste and it seriously lacked action and more ‘credible’ werewolves. But since I promised myself to read a sequel for every new series I want to start and I already have a copy of both Linger and Forever, I decided to pick up my copy of the sequel anyway. 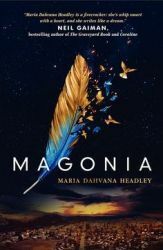 Maggie Stiefvater uses the same easy-to-read prose and the pace is fast, but yet again I wasn’t convinced. I agree that overall the sequel is better than the first book and it actually has a few more convincing werewolves scenes. Still, there were way too many cheesy romance scenes included and let’s be honest: werewolves aren’t exactly supposed to be boyfriend material in the first place, right? I guess Twilight fans will probably love this series, but unfortunately I’m not one of them. WARNING: do not read this summary if you haven’t read Shiver yet! It will most likely contain spoilers, even though I’ve made sure to keep it short. Grace and Sam have finally found each other, but life is not that easy. They will have to fight to stay together as both their futures are not so certain… Sam used to be a werewolf and he is not so sure the cure actually works. And the werewolves that attacked Grace all those years ago might have left their mark afterall… Meanwhile, Sam has to take care of the new wolves as well now Beck probably won’t shift again, and that is not as easy now he doesn’t shift himself. Sam is not sure how to handle all of it… What will happen to Sam, Grace and the new wolves? I can’t deny Maggie Stiefvater‘s prose is more than excellent. Unfortunately, I’m not really a fan of the story itself. It’s actually more of a cheesy romance story with a twist than a proper tale about werewolves. The worst part is that many of the ‘plot twists’ are actually quite predictable as well. Like I mentioned above, Twilight fans will probably love this series, but I ended up being disappointed by it. Definitely a case of not-for-me! I’ve only made little progress on The Goldfinch by Donna Tartt during the last week. I guess it’s mostly because I just haven’t been feeling like reading it and decided to start other books instead… I’m currently reading The 5th Wave by Rick Yancey as well. Finally! I like it so far, although I’m still not completely convinced… Maybe I was expecting too much of it, who knows? 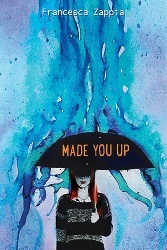 I finally gave in and read Made You Up by Francesca Zappia. I was a bit afraid to read it because of all the hype around this book, but in this case it’s worth it. Such a great read! 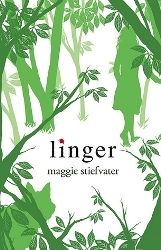 ❤ I’ve also made a promise to myself that for every new series I want to start I have to read a sequel of a different series first… I decided to read Linger by Maggie Stiefvater and although I liked it slightly better than the first one, I’m still not impressed. I guess it’s too much romance and too little werewolf action for my taste. Grace has an obsession for the wolves in the woods behind her house ever since some attacked her when she was little. One of them, a yellow-eyed wolf, rescued her and seems to be watching over her in the years that follow. The wolf turns out to be more than a simple animal… Grace is shocked when she meets Sam, a boy whose eyes are a carbon copy of the wolf. Sam has lived two lives ever since I was attacked. During the summer he is like any other teenager his age, but as the weather turns colder he shifts into something else… He is a werewolf. During the cold winter months he is forced to live in the froze woods with a pack of fellow werewolves, and unlike others he doesn’t like living his life as an animal. He has been obsessed by Grace as well, and when he finally meets her he desperately tries to stay human so he can be with her. But will he be able to beat the cold? There was too much romance involved for my taste and the plot lacked action. Sure, Grace and Sam were cute together, but I wasn’t convinced by the general story. Then again, I’m not really a sucker for the romance genre. 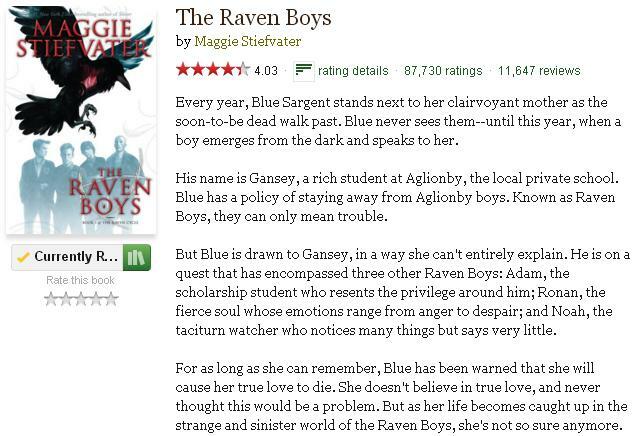 Still, it really shows that Maggie Stiefvater is an excellent writer and the prose itself was good. I just wished the werewolves would have been more… Animal. All in all Shiver was a good read, but I guess expected something different. Still, I would definitely recommend this read to fans of the YA fantasy and romance genre.